For the second consecutive year, AGEXPORT supported the Institute of Electrical and Electronics Engineers (IEEE) on the organization of a programming event called IEEEXtreme Programming, which challenges teams of students with math, physics, economics and IT security problems. This event took place on October 19 and 20th, 2018 and was also supported by companies like Banco G&T Continental, IT.GT, Datum, Codigo Go Group, Decentralized Technologies and AGEXPORT’s Software and Digital Content commission. More than 4,000 students from several countries around the world participated simultaneously at this event. A total of 65 Guatemalan students of IT-related fields from the San Carlos University as well as Galileo University and the Mesoamerican University represented the country at this global event. These students lived 24 intense hours of programming and problem solving, demonstrating their strong knowledge in this field, said Mrs. Andrea Alvarado, coordinator of AGEXPORT’s Software and Digital Content commission. Following the event, two Guatemalan groups were selected due to their excellent results on the competition. Banco G&T Continental awarded the winning team with different prizes and the IT company Datum offered a scholarship to receive a certification on AWS. Another Guatemalan team was also offered with a certified training on Java programming offered by Codigo Go Group, a company member of AGEXPORT. 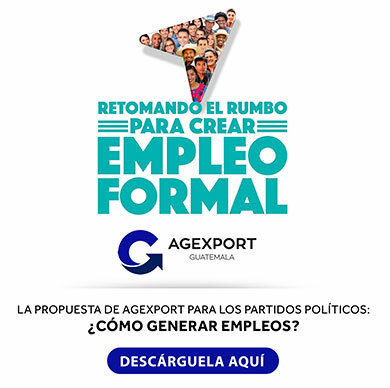 For our commission in AGEXPORT it is very important to promote this type of events, not only because it gives Guatemalan students the opportunity to display themselves on international rankings but also because these events help Guatemalan IT firms to identify the best Guatemalan talent. Events such as IEEExtreme Programming not only puts Guatemala among the best programming countries around the world but also opens doors to the students that participate on them. If we intend to develop further the software development industry in Guatemala we need students to continue participating in this type of events for their personal and professional growth, remarked. Mrs. Alvarado.